Volume 4, Edition 8 Trouble loading? View this email online. CSUN is hosting eight events as a part of InnovateLA, a countywide celebration of innovation and creativity in the region. 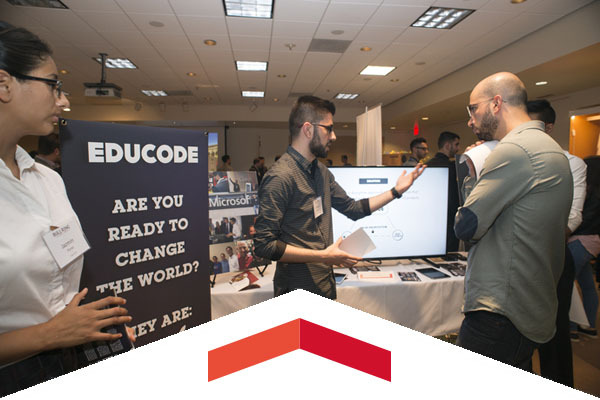 Enjoy coding challenges, hackathons, workshops, conferences and other events open to students, faculty, staff and the public. 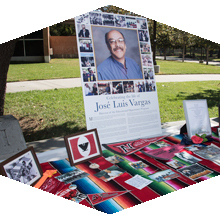 CSUN community members celebrated National EOP Month on Sept. 28, highlighted by honoring the legacy of the late José Luis Vargas, who had directed the program from 1994 until he passed away on March 19. 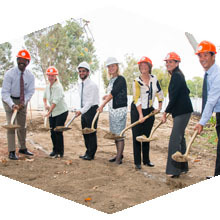 Campus leadership, the Institute for Sustainability, Associated Students and other CSUN stakeholders celebrated the groundbreaking of the new Sustainability Center. Thur, Oct. 6, 7 p.m.
Before the Matadors’ big game against Hawaii, free food, music and giveaways will be provided at the Fan Fair in the F5 parking lot. Also, the first 300 fans in attendance will receive a free neon T-shirt. Thur, Oct. 6, 10 a.m.
Stay informed and involved in the upcoming presidential election by heading to the Sierra Quad for the Big Politics fair. The free event will have voter registration booths, live music and free food. Fri, Oct. 14, 8 p.m.
CSUN enhances active learning with the new Technology Enhanced Active Learning classroom in the new Extended University Commons building. Whether the traveler or the individual tasked with making travel arrangements or following up to ensure receipts and claims are finalized, this session will help faculty and staff alike make every CSUN-related travel experience a more positive one. Join us Wednesday, Oct. 12 from noon to 1 p.m. in Oviatt 16 for a lively discussion of So You’ve Been Publicly Shamed, by Jon Ronson, which was chosen as this year’s Common Read at Freshman Convocation. Drop in and share your thoughts on what he had to share with our students. It is estimated that 45 million Americans diet each year without much success. Join Ellen Bauersfeld to discuss realistic lifestyle changes that will promote long-lasting weight loss without fad dieting. Hosted by CSUN’s Institute for Community Health & Wellbeing, Walkability Wednesdays take place from Noon to 12:45 p.m. every Wednesday, and feature guest speakers and walk leaders. This week, join Jed Mitra of the Institute for a walk through campus and a discussion on dining options on and around campus. Find out about CSUN’s future sustainability center. Learn how to compost in your own backyard. CSUN professor serves on LADWP Integrated Resource Planning Board. Join us for sustainability day.